Firstly - Congratulations to Saran from Bognor Regis who won the Heart to Home Giveaway. Thank you to all who entered and don't forget you can still get 10% off purchases at Heart To Home online using the Cakeyboi discount code! Simply enter CAKEYBOI at the checkout where it says 'Apply Discount Code'. 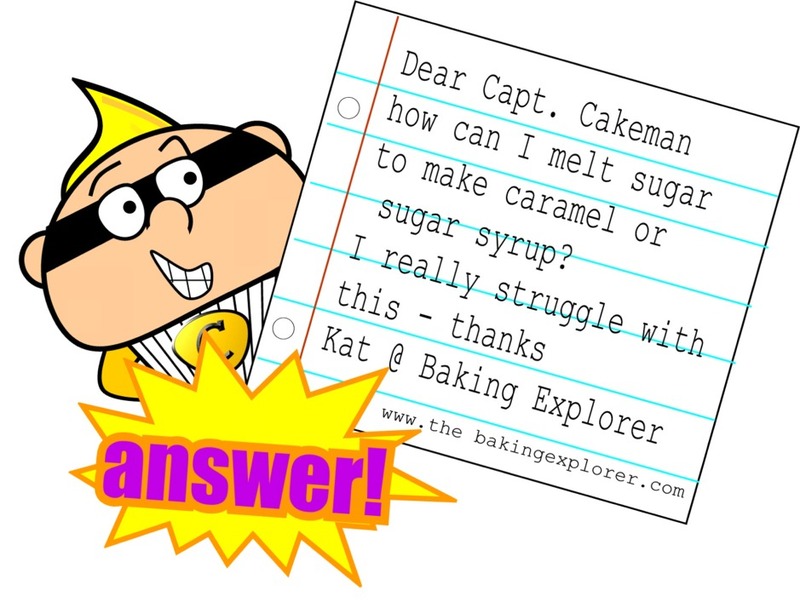 Great question Kat – as melting sugar is notoriously difficult. Let’s break it down into some easy steps; dig out a heavy bottom saucepan. Place the amount of sugar you need in the pan, add cold water – exactly half the weight of the sugar you are using. Place over a medium heat and stir the mixture until the sugar has dissolved. Brush the sides of the pan to push down any sparks of sugar – this stops crystals forming on the side of the pan which can ruin the entire mixture. When the sugar has dissolved – STOP STRIRRING! Continuing to stir can also cause crystals to form. Now pop in a sugar thermometer, crank up the heat and allow the sugar to boil to whatever temp you need depending on your recipe. Silicone tins have mixed reviews Becca. It can depend on the thickness of the silicone used in the ‘tin’. If it’s too flexible, more than likely it will lead to a deformed loaf. When purchasing, go for a thicker, hard feeling silicone. One trick when using a silicone loaf pan is placing a metal tin either side to act as stabilisers – but then you would just be as well using a metal tin! When it comes to silicone other people comment on lingering smells, sticking, difficulty in cleaning – they are not for everyone! Capt. Cakeman tries to be accurate when answering questions, but if you can expand or come up with another explanation, please comment below. We love all of your comments! 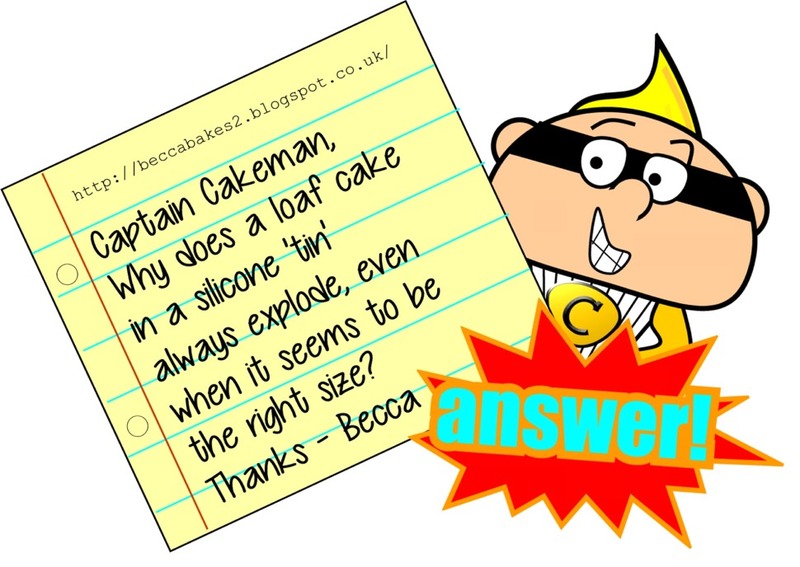 If you have a question for Captain Cakeman, simply email mrcakeyboi@gmail.com, leave a message over at www.facebook.com/cakeyboi or tweet @MrCakeyBoi. Bye for now!